This badge was issued to Scott Sullivan on 08 Jan 2019. 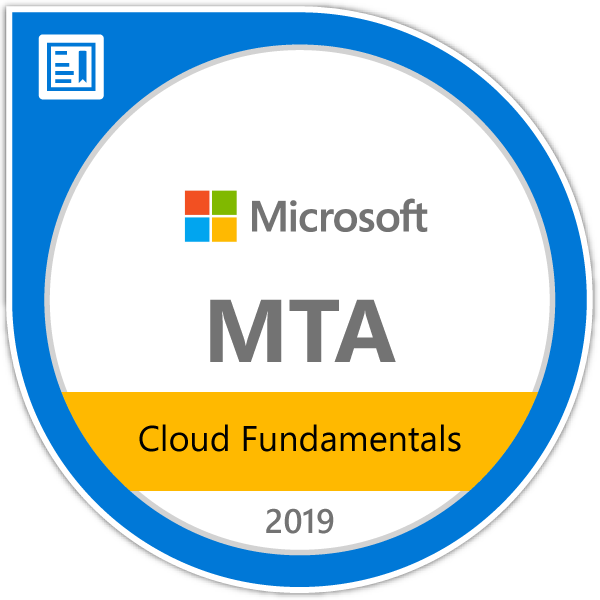 Earners of the MTA: Cloud Fundamentals certification have demonstrated fundamental knowledge of and basic skills using Microsoft cloud services. The MTA program provides an appropriate entry point to a future career in technology.